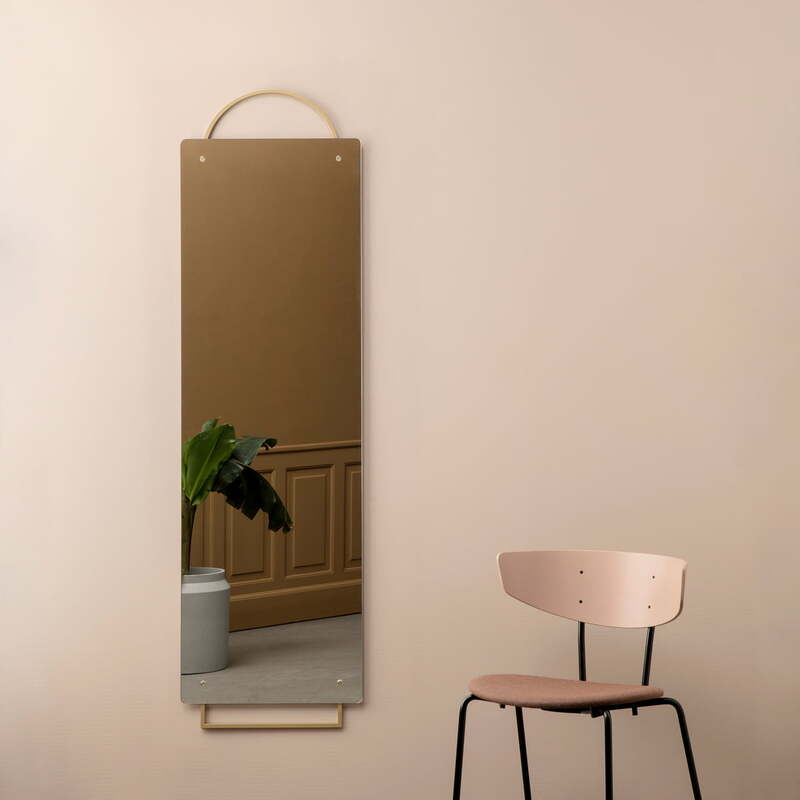 The Adorn series by ferm Living consists of a full-length mirror and a smaller rectangular mirror, which are both striking thanks to their powder-coated metal and the brass details adorning any living room. Hence the name "Adorn". The Adorn full-length mirror can be assembled to the wall or thanks to the brass details on the floor decoratively be leaning against the wall. With a height of 159 cm, the full-length mirror is ideal for the hallway, dressing room or bedroom. 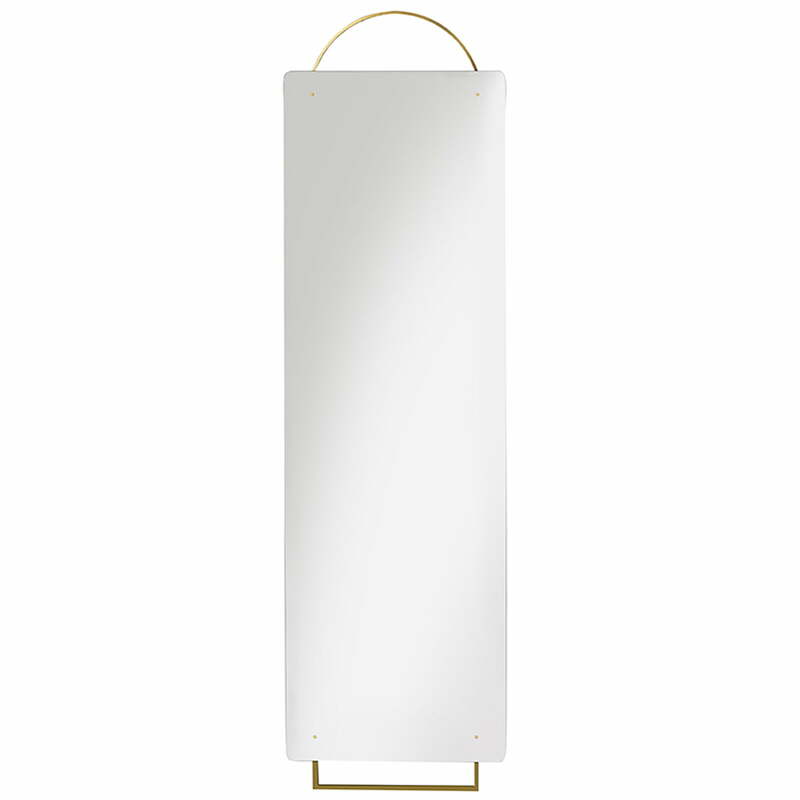 Individual product view of the Adorn brass mirror 45 x 159 cm by ferm Living. The full-length mirror can be installed on the wall or be leaned against a wall. The Adorn brass mirror by the Danish manufacturer ferm Living in large size decorates every room. It adorns and complements any interior style perfectly.